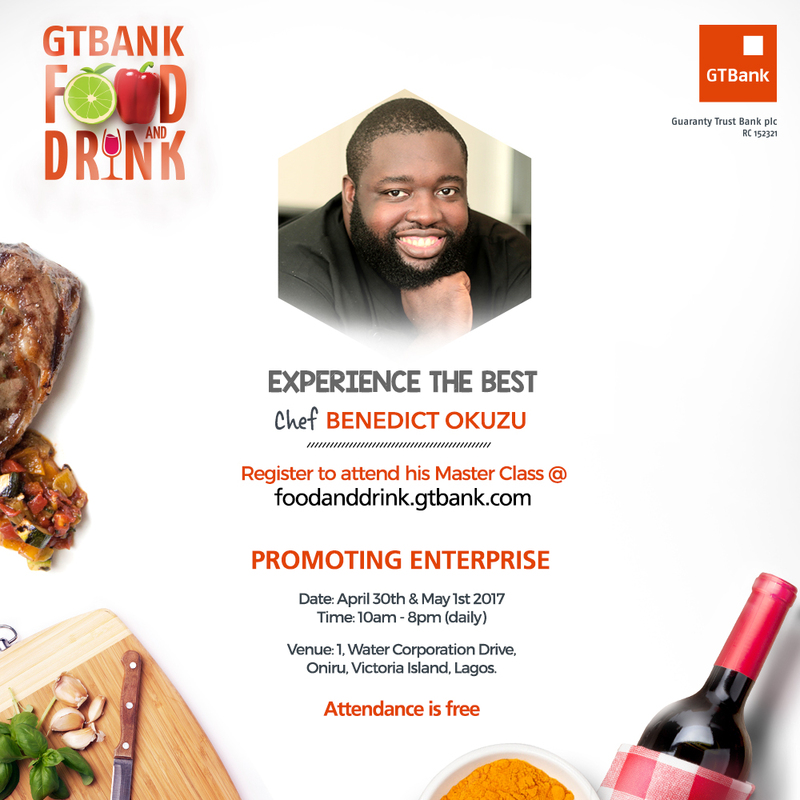 GTBank’s annual Food & Drink Fair is a 2-day food exhibition and sales event that aims to project the diverse angles of the food industry by connecting various businesses involved in the production and sale of food related items to a cosmopolitan audience of food enthusiasts. 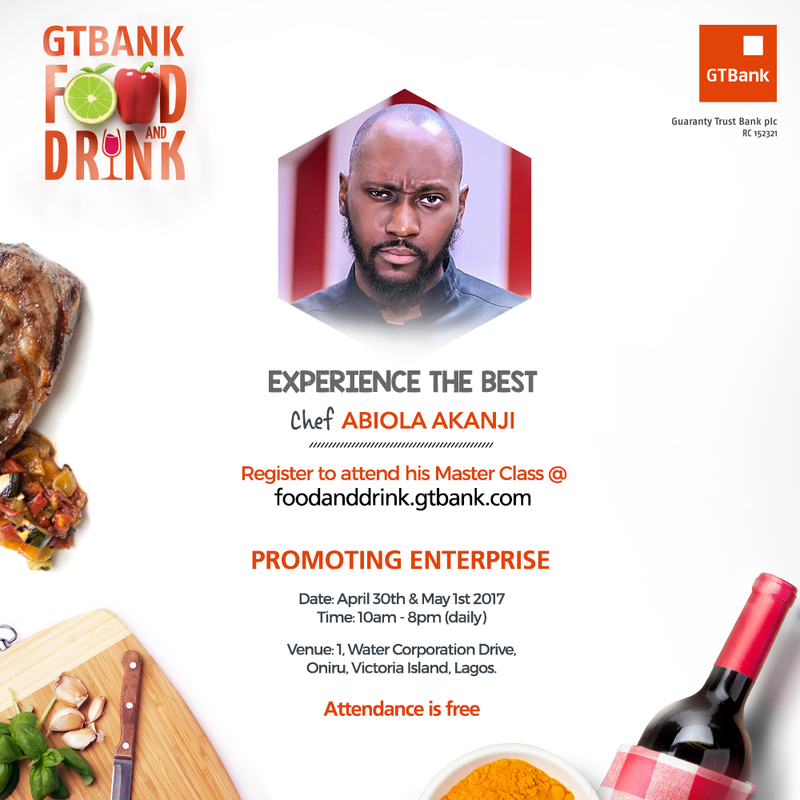 In addition to the exhibition and sales, the GTBank Food & Drink event will also offer culinary experiences such as food and wine tastings, cooking master classes with renowned International and Nigerian chefs, outdoor grills and thrilling entertainment. 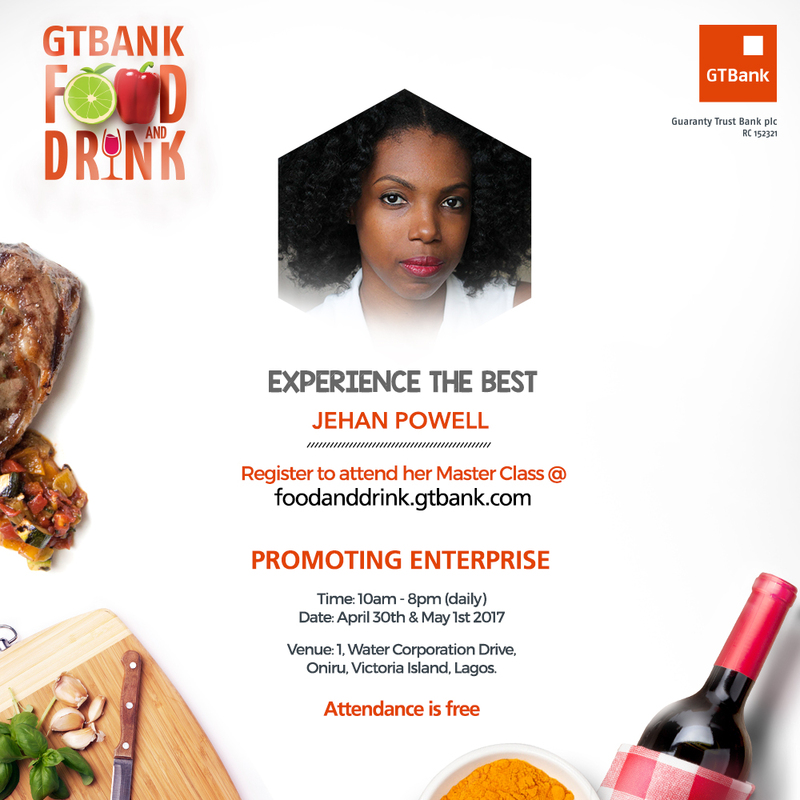 Jehan Powell of JehanCanCook.com, Ronke Edoho [9jafoodie]. Lerato Umah-Shaylor [TV Chef & Pop Up Restauranteur], Nkesi Enyioha [Chef & Owner HSE Cafe], Kevin Curry [Founder of FitMenCook.Com], Tolu Erogbogbo [CEO of Cookie Jar Bakery, and Executive Chef at Eros & Gourmet Foods], Raphael Duntoye [Master of French Cuisines at La Petite Maison], Abiola Akanji [owner of The Red Dish Culinary School] and Chef Benedict [Custodian of Italian Cuisines]. 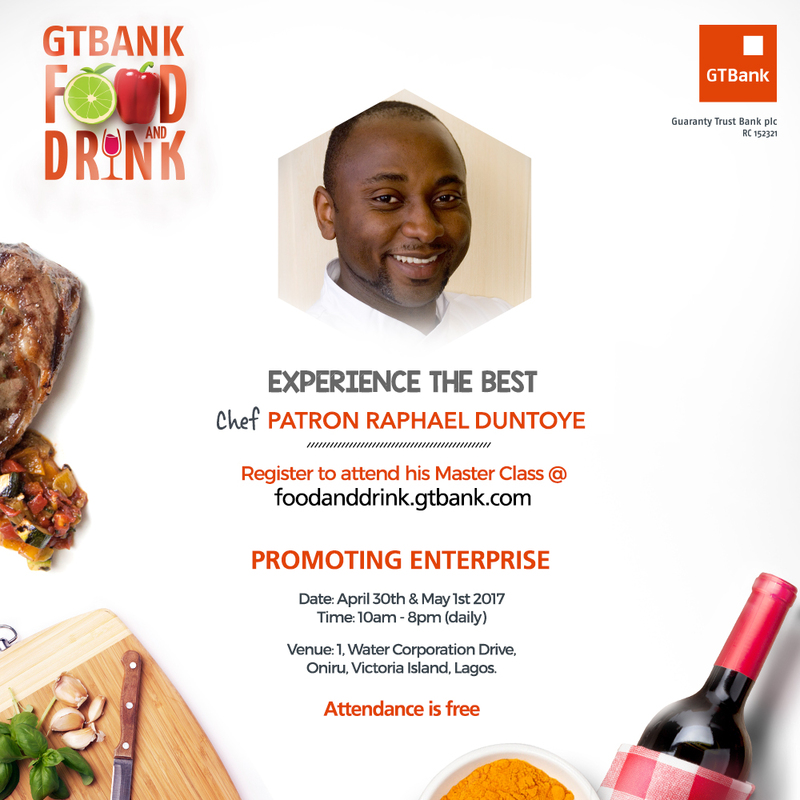 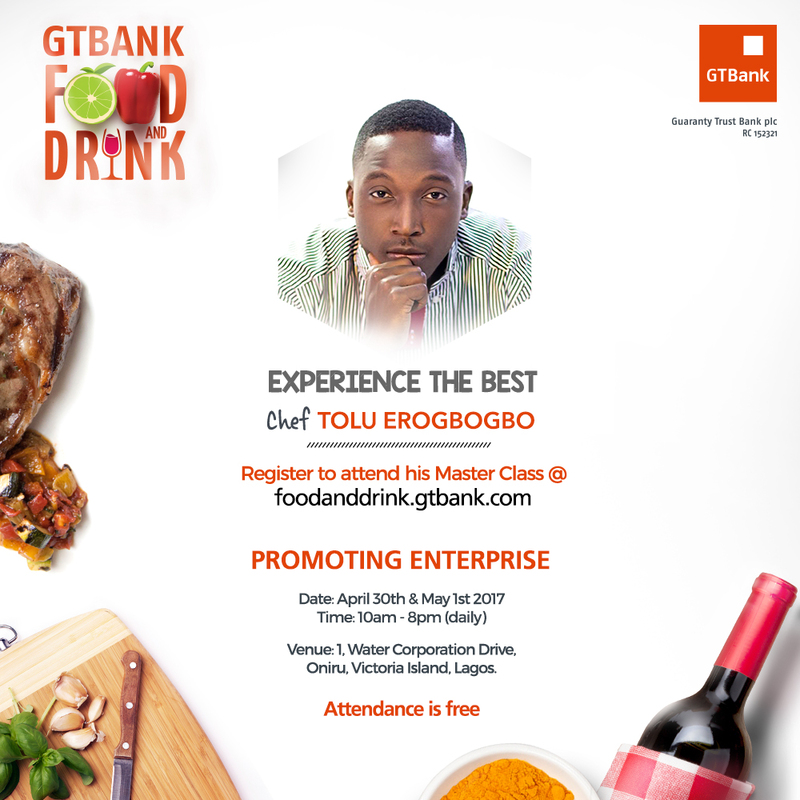 Go to http://foodanddrink.gtbank.com/about/ to find out more about the schedule. 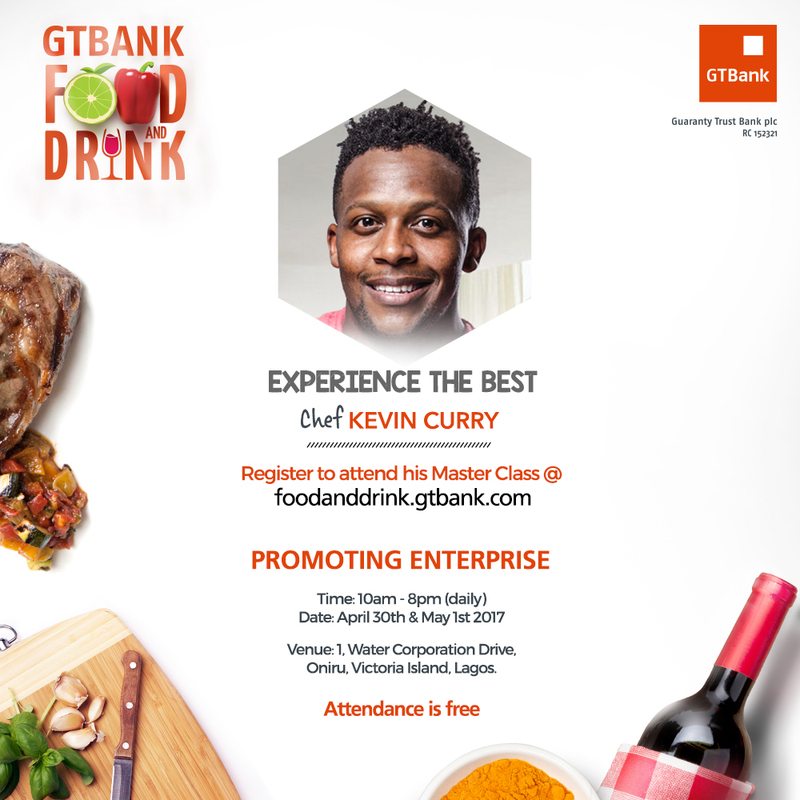 Kevin Curry made me open this post. 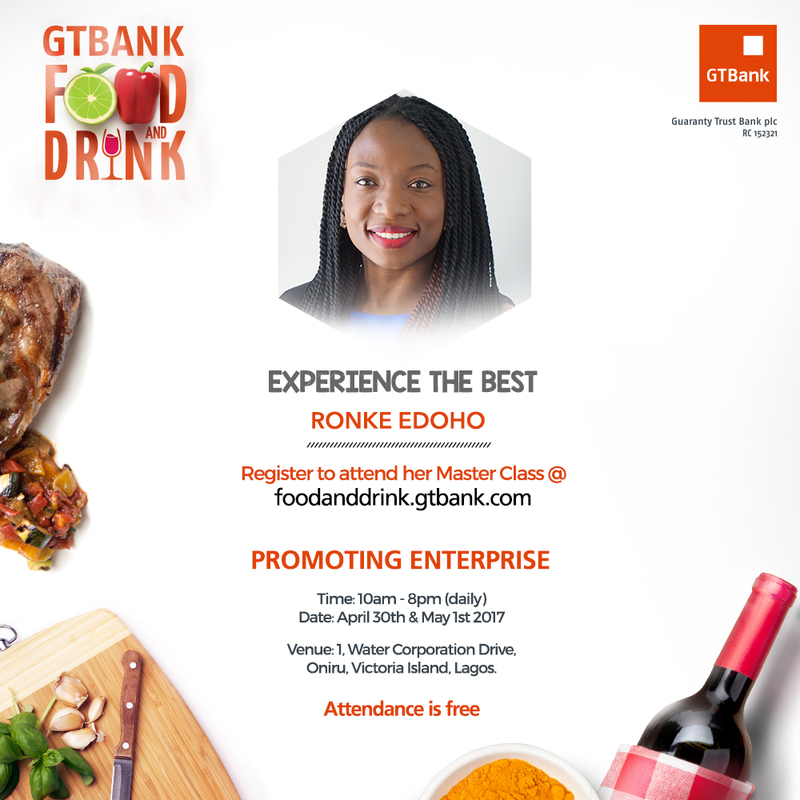 BTW, is ronke frank edoho's wife?